Huddersfield vs Newcastle predictions for Saturday’s Premier League tie at the John Smiths Stadium. Huddersfield and Newcastle both hope to break out of recent Premier League winless runs on Saturday. Read on for all our free predictions and betting tips. Dean Goddard from Free Super Tips covers our Huddersfield vs Newcastle predictions and betting tips in the video preview below. Huddersfield defied the odds last season as they fended off relegation from the Premier League thanks to their blistering start to life in the top flight, but their second season in the big time is proving to be a little bit more difficult than they had hoped for. They unsurprisingly fell to defeat at the Emirates last weekend to make it 3 defeats on the trot for The Terriers, and it leaves them in 18th place in the Premier League with a 2 point gap between them and safety. Considering they have to face Newcastle, Southampton, Fulham, Burnley, and Cardiff in the next month, this is a hugely important period of fixtures for David Wagner’s men. 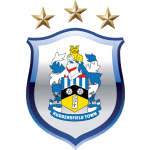 Huddersfield did enjoy a very brief resurgence back in November, with victories against Fulham and Wolves sandwiching a draw at home to West Ham and putting some smiles back on the faces of the John Smiths Stadium faithful. Those smiles have faded now, and they’re in for a tough test on Saturday. Newcastle also saw a resurgence in form in November, winning 3 matches on the trot against Watford, Bournemouth, and Burnley. This followed a shocking start to the season which saw them fail to win any of their opening 10 Premier League matches, but that trio of wins has been enough to lift them into 15th position and 3 points clear of danger. However, their loss at home to Wolves last weekend was their third consecutive failure to win. Both of their defeats in this period have come in front of the St James’ Park crowd, while their 1-1 draw at Goodison Park can definitely be seen as a promising result. This recent form means they are unbeaten in 3 away matches in the league, and they have actually only lost to Manchester United, Manchester City, and Spurs on the road this season. Their other 5 matches have yielded 7 points and no defeats, and they’re facing a Huddersfield side who have won just 1 home game in the league this season. 5 of The Terriers’ 8 home games this term have ended in defeat, and they have only won 2 of their last 13 competitive matches against Newcastle. 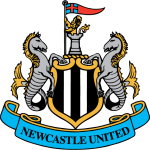 The visitors have improved significantly away from home recently, and we think backing a Newcastle Draw No Bet looks an excellent value option along with a typically low scoring 1-0 win for them. The last five games between Huddersfield and Newcastle in the top-flight have seen just four goals scored, with three of those ending in draws (one win apiece). Though they’ve scored in their last three matches at home, Huddersfield haven’t scored more than once in their last 13 Premier League home games. The last team to have a longer such run in the competition were Derby in 2007-08 (14 games). Newcastle United’s Premier League games have seen 35 goals scored this season, fewer than any other side (scored 13, conceded 22). Since the start of last season, Huddersfield Town (29) and Newcastle United (27) have lost more games in the Premier League than every other team. 54% of Newcastle’s Premier League goals this season have been headed (7 of 13); the highest proportion in the division. Huddersfield midfielder Aaron Mooy has scored in both of his previous two games at the John Smith’s Stadium against Newcastle, including the winning goal in this fixture last season (1-0). Huddersfield Town’s top Premier League scorers this season are Zanka and Aaron Mooy (two goals) – the lowest-scoring top scorers at any club so far in 2018-19.